And over Gray, we ‘preciate you, too! As it was he was my least favorite of the top 3. How bad he has played has somewhat surpised me though, he seemed a little more polished than this. He was supposed to be the most polished, but Gray/Bryant looked more long term potential. Oh, honestly, Passan. Tulo probably just went to watch his idol, Derek Jeter. May have even been Jeter’s guest. It’s not impossible Tulo is traded in the offseason but this is the stretchiest of stretches. As a Pirate fan, I’m not really a huge supporter of Appel, but I don’t really get why players on the Astros major league roster would be irate over the guy throwing a bullpen in front of the coaching staff. Seems awfully silly. Sounds like it’s just a terrible baseball team trying to find things to get themselves fired up over. Maybe if they were giving him special privileges, but if it’s just the bullpen then those players should quiet. Honestly I think it’s good for prospects to come up to see the mlb team occasionally. It gives them a little break away, and reiterates the goal they are working towards. Prospects should be invited to WATCH a game, but if they get on the field It’s called “a cup of coffee” and players have to earn them as well. Bringing a top pick while he is struggling in the minors to “throw in the major league bullpen” is a bush league move. I would definitely would be upset if I was in the Astros clubhouse. If the other players are concerned about Appel being “babied,” they should look in the mirror. If he had taken the Pirates offer two years ago, he could’ve been in AAA this year, but Mark wanted to pitch in a tougher ballpark. There isn’t a single player in the clubhouse who should care if some prospect – regardless of the signing bonus, media attention, or draft position – was moved from A ball to AA. That’s not really any better of a reason. It has zero to do with the 25 guys in that clubhouse going about their business. I think the dodgers would prefer to move crawford and andre . kemp is hitting well around 270-280 besides in this offseason he’s going to work out not rehab like hes done is last couple of years. You’re probably right, but either is looking harder to move with more moderate upside. I also seem to remember reading that Kemp still expects to be the big man on campus and it isn’t where he’s at in reality. In other words, Tulo wants out of Colorado and showed them exactly where he would like to be traded. Yep and David Price and Evan Longoria were doing the same thing when they were at the Cardinals game last weekend, right? Or is that only when a player is in New York? Price has been mentioned many times already as a potential trade target for the Cardinals. So, yeah — maybe the same thing. Maybe they’re just people who enjoy going and doing things other people like to do in their free time? Uh-huh. But when other people go to a ballgame around the trade deadline, nobody writes about it in the newspaper. They only write about it in the paper because there’s people that actually believe it matters. A little secret, Tulo doesn’t get to pick where he plays until 2021. He can go and watch baseball games where he chooses until then. As another poster noted, Tulo idolizes Jeter. That being so, there needn’t be any more motivation on Tulo’s part to attend a Yankee game. Mike Carp and Tommy Milone asked to be traded within the past week. Tulo can do the same whenever he feels like it. Whether the Rockies accommodate him is another issue. Nope, if Tulo went to see the Planet of the Apes movie, that would prove he wanted to be cast as Dr. Cornelius in the next one. Wait! Hold on a minute, you mean that baseball players are people too? That it is possible that they enjoy watching baseball as much as I do? That they could possibly want the opportunity to watch the game as a fan? No. It isn’t possible. Say it ain’t so Joe! 2) wasn’t the team in st Louis a day early for a series? Even if ANY of that were true…oh, nevermind! What’s that have to do with anything…? About as much as Tulo being at a Yankee game does. He is our new Right Fielder. Maybe he does. Don’t think you have what it takes to get him either way. That’s the thing about baseball, no trade clause not withstanding, once you’ve signed the contract it matters little where you want to play. I’m not entirely sure that he’d want to go to the Yankees. While he does idolize Jeter, he wants to go to a team where he thinks he can win. If the Yankees somehow were able to pull of a trade that the Rockies would accept (which I doubt they can), they would have basically no prospects left at all on an aging team. The Yankee way of buying the best player available on the FA market won’t work for much longer, there just isn’t enough talent that reaches FA for it to work. Why is it I don’t believe Kennedy has oblique soreness, they must be close to a trade with another team. Hinch quelled any concerns saying the scratched start was not due to a trade. Appel being promoted after a 9.74 era and 1.91 whip is one of the funniest things I’ve ever heard. Yeah. That should go smoothly. Kemp’s agent is lobbying to get Kemp the everyday center fielder’s job in LA even though he’s been awful in the field, and Kemp reacted angrily months ago at the suggestion he was a fourth outfielder. I’m sure he’ll warm to the idea of DHing — not. Going to a Yankee game wasn’t the smartest thing to do, but it’s still much ado about nothing. Why can’t Tulo go to a Yankees game? It’s no secret Jeter’s his hero and the Yanks aren’t playing the Rox this year. So this is Tulo’s last chance to see his hero in action. Yanks cannot trade for Tulo — they don’t have the assets — so the whole thing is just stupid anyway. It’s great for Colorado. Gives them the excuse they seem to need to send him off. And going to watch Jeter and the Yankees proves that? I guess I’m just not buying. One wonders if Appel’s promotion doesn’t have something to do with the Aiken failure. Maybe a message to younger players and agents that if you play ball, you will be treated well, and Aiken is a one off? To the fact that the pitcher with the worst performance in their High-A system just got promoted. That doesn’t scream “treat you well” to me, unless it only applies to top picks at the expense of everybody else in the system. I’m thinking high draft picks. The lower ones know they have to wait their turn, and they can see how Houston runs things anyway. Houston is doing their usual race to the bottom this year, and will have two high draft picks. If I were a highly touted prospect (or a prospect’s advisor) I wouldn’t been too keen on being picked. This might just be damage control. All that can be inferred is that Houston is dealing with the whole issue the wrong way. Matt Kemp to the Mets for Bartolo Colon and Daniel Murphy or to the Red Sox with Scott Van Slyke for Jon Lester and Will Middlebrooks. terrible….trade two righties…and be left with CC, Ethier, and a call-up Joc who youre not sure can perform in the bigs yet…3 lefties who cant hit left handed pitching…and no backup for Agon…another lefty. Uribe is gold glove caliber 3B batting .300…dont need another 3B. OK. Forget Middlebrooks for Van Slyke. Thought Uribe was out for the year. My bad. Dodgers get a negotiating window and sign Lester long-term, which is the next best thing after the Red Sox being able to resign him. I think that at $10MM/year, Kemp could be very good in Fenway. I would give Lester 6 years and $150MM. Dodgers eat everything but $10MM/year of Kemp’s contract in return for a 72hr negotiating window for either Murphy or Lester. Murphy isn’t a FA till 2016. All the more reason that the Dodgers should eat a big chunk of Kemp’s contract, leaving the Mets to pay $10MM/year. Your idea that the Mets might pick up Kemp’s $107M salary suggests some unfamiliarity with the way things are done in Queens. I would expect that the Dodgers eat everything but $10MM/year of Kemp’s contract. If players on the big club really are whining about this, it sounds like there are plenty of babies in Houston. One more can’t hurt. Where’s a good place to send someone when you’re angry at them? Seattle, Toronto, Queens New York? Tulo wants out, so I guess the answer is Colorado. Usually when relationships turn sour the team in question doesn’t send them to a place they want to go. They’ll obviously want a hull on Tulo but I wouldn’t be sending him to the place he prefers to go nor should they keep him if he’s disrespecting the organization. Who wants a guy on their team who sounds like a clubhouse cancer? Any team will want this “clubhouse cancer” that is currently hitting .340/.432/.603, is a perennial All Star, fan favorite, and has never caused any problem on/off the field. I find misspelling my last name after playing 9 years for the team more disrespecting than going to watch a Yankees game and my idol one last time on a day off. Please, when a team’s losing the last thing someone wants to deal with is a clubhouse cancer. Yes, them spelling his name wrong is super foolish, he’s one of their franchise players after all, but him acting like a child and reportedly “wanting out” because his team’s been bad and isn’t in contention isn’t what any GM of an organization wants to hear. Not every team is going to be in contender every year, the clubhouse cancers always seem to come out when the team isn’t in contention. 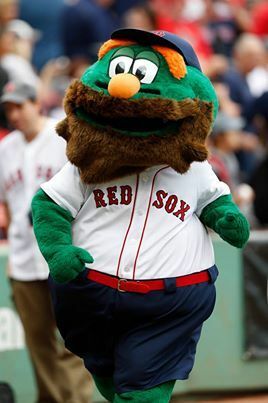 Look at the 2012 Boston Red Sox as an example, the first sign of the team falling out of contention and Adrian Gonzalez sends the team owner a demand of firing Bobby Valentine, they end up shipping Gonzalez out and win a World Series with a bunch of guys who all have love for each others beards the very next year. This whole situation is making the Rockies look mismanaged and someone is going to have to pay for that infraction. Great, strategic, long-term move by Luhnow to keep the 35-year-old Chad Qualls. Does anyone really think any less of Tulowitzki because he went to watch Jeter play in his final season? Given the opportunity, many baseball fans would do the same. I wouldn’t be surprised to see Jesus sitting in Yankee stadium before the season is up. tulowitzki would great in black and gold and hitting behind cutch. I saw Appel pitch in Stockton Thursday night. 95-96 first time through the line-up worked on the offspeed stuff second time around. He looked like a top prospect to me and I’ve been watching minor league ball for 40 years. Obviously the big league staff wanted a first hand look at him.